The first guest to stay in Wild Trak Lodge has arrived. Gaz Davies from England has come to stay at Wild Trak Lodge as a volunteer, to assist with the development of the lodge. 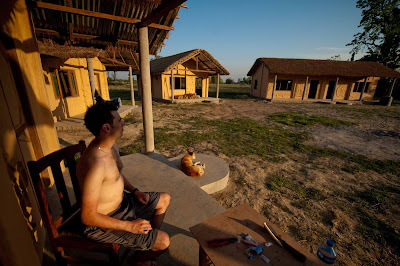 So far Gaz has been here 6 days, in that time he all ready has had a close encounter with a wild elephant which wandered very close to the lodge in the night time and also had a close encounter with a tiger which can be seen in this link.